We reached Bangkok and checked into the hostel. 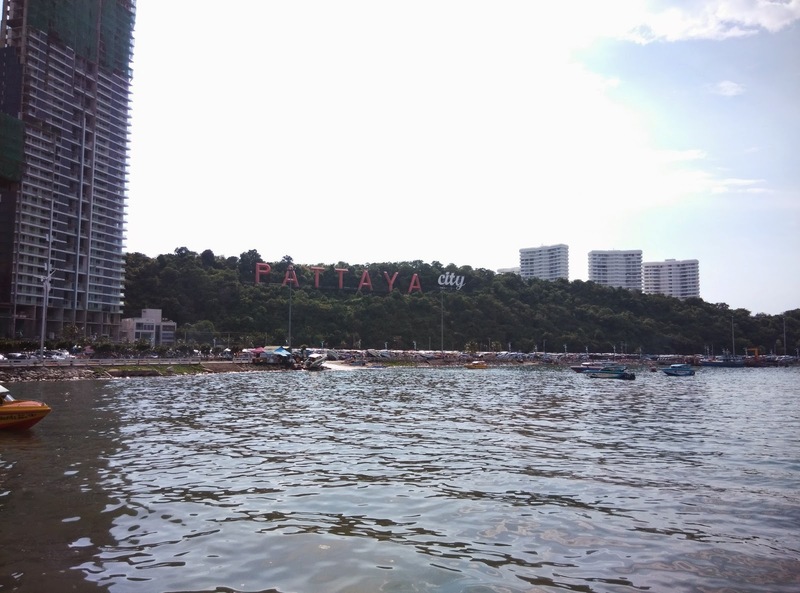 We freshened up and took the bus to Pattaya which is 1.5hrs from Bangkok. The beach is nice and we had a nice lunch at an Indian restaurant there. We took a walk by the beach and then through the city. 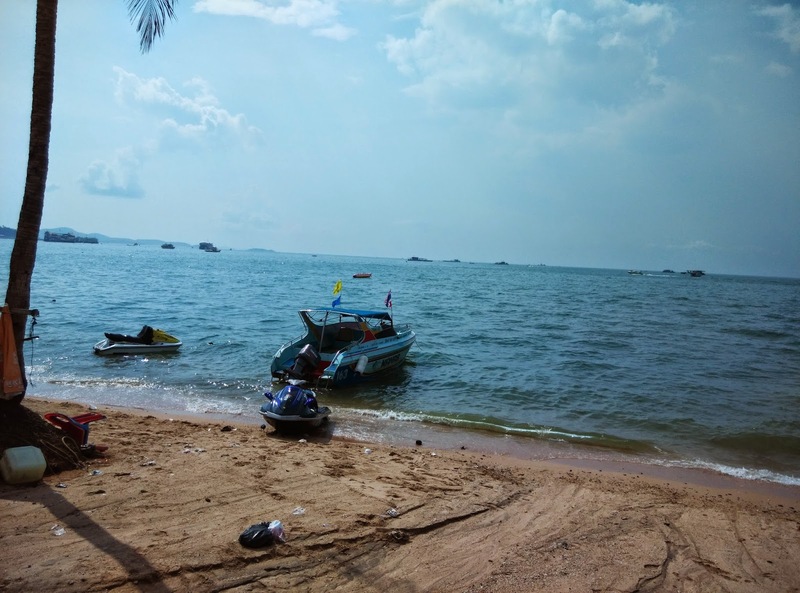 You have the water sports like the speed boat and banana ride here. We had decided to spend the night in Bangkok in the evening we were back to Bangkok. 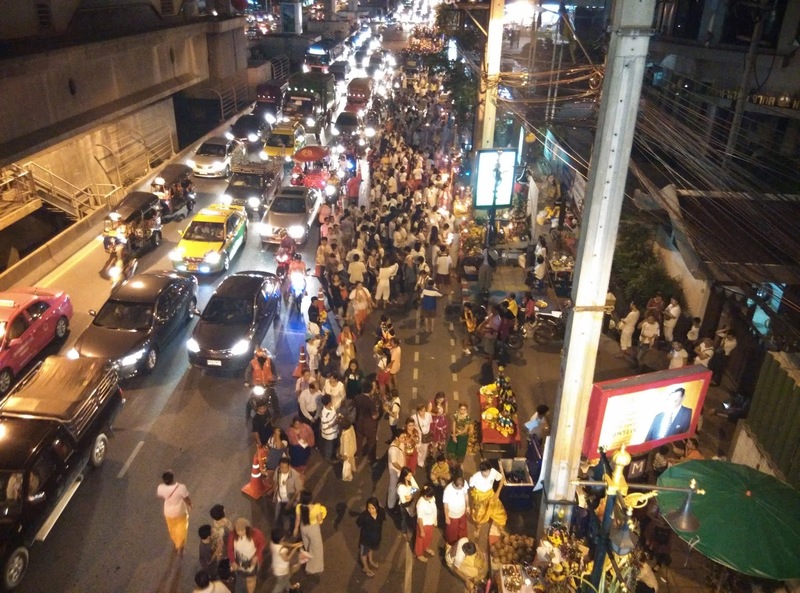 For sake of coverage, let me talk about the nightlife in Bangkok. There are 2 major places that are not spoken in open. Nana is the red light district of Bangkok, which the guy in the hostel told is not that pretty. The other place is Khao San Road, the better quality nightlife in Bangkok. (What happens in Bangkok, stays in Bangkok. Unless you withdraw cash at an ATM, in which case it comes in your bank statement). 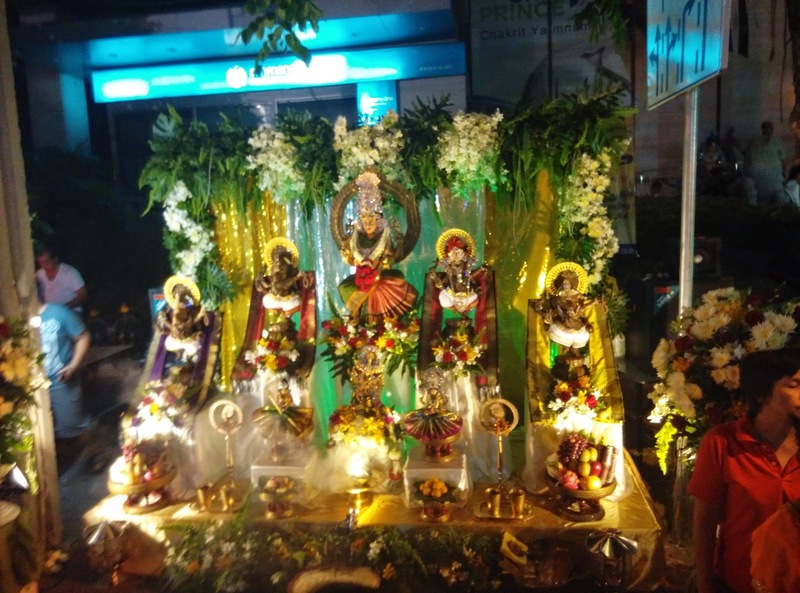 We reached our room at around midnight and were surprised to see the navaratri celebrations. 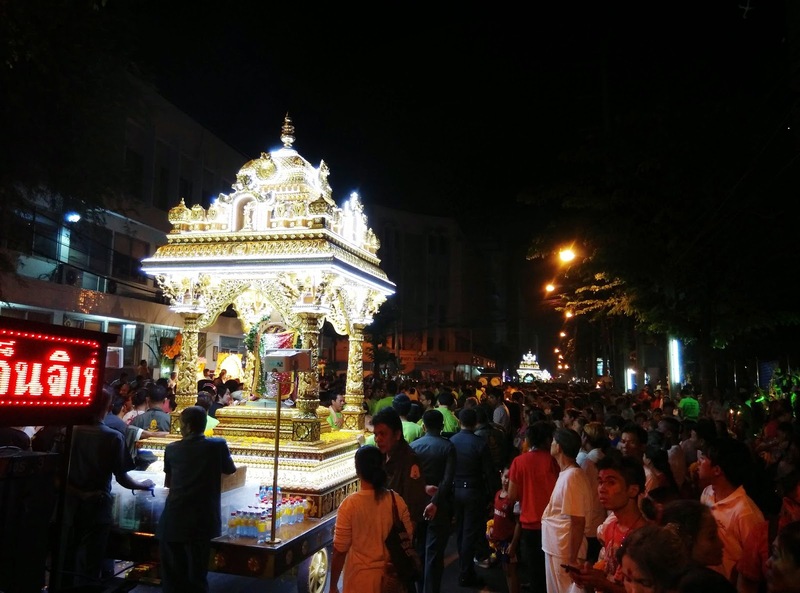 The street was filled with idols of almost all the hindu gods and goddesses. It was folk music and thai style dances everywhere. Some people were playing holi too. I am the guy who gets laughed at for going to temples in Goa and imagine what people did when I told them I celebrated navaratri in Bangkok. Anyways that was end of day 8. It was finally the last day of the trip. We visited the famous Siam Paragon Mall, it looks a lot bigger than the biggest mall in Bangalore and has an ocean world in the basement. The ocean world was spectacular with penguins and sharks. We finally packed bag our bags and bid adieu to Bangkok. The 9 day trip had come to an end. The most memorable moment from this trip would be the crazy time I had with the fellow backpackers in the hostel. So much talk about religion, culture, technology, politics and most important of all, our love to travel. One thing that everyone we met told us was how beautiful India is and how they would love to visit India. So when I look back at my 9 day trip, I observed that every place I visited had similarity to one or the other place in India and I have not traveled beyond the 5 southern states. I would like to end this really really long series of blogpost by saying that the experiences that I had in my trip have inspired me to travel more. But considering the budget constraints, I would explore our Incredible India before I take another crazy international trip. > You should be fully covered to enter temples in Bangkok so avoid sleeveless or shorts. You can rent clothes here but why waste money. > Food - Vegetarians will have a tough time. People who eat have few choices and non vegetarians will get anything that has wings or that walks on 4 legs. > Scams : Google for ‘scams in Bangkok’ and you can read about the TukTuks and the Boat rides. > Use the train from Airport to the city. Normal train costs 45 Bahts and connects you to bus station or sky train. > Negotiate for bus/tuktuk. Nice people here and they reduce prices if you are more than 3 people. Total cost of the trip - Approx Rs 50,000 per person. Please subscribe to my blog using the "Join this Site" button. Yay ! Loved all 3 Parts !